Just a quick note to tell you how much Jenny and I are enjoying ‘ol blue. We have been on three tours so far with a whole bunch more scheduled through the fall. Our next one coming up is the low country tour of South Carolina in May. The car draws a crowd everywhere we go and is running great! Here is a picture of two happy campers. 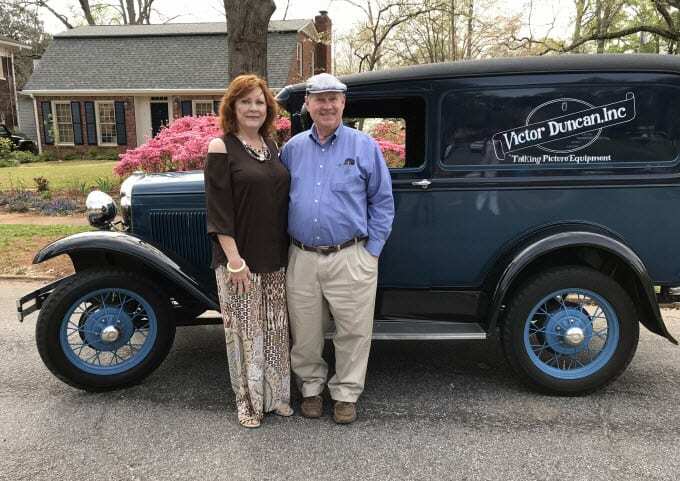 It was taken Easter Sunday after a short tour through Avondale Estates in North Atlanta, an annual event of antique cars that tosses candy to the kids lining the route.